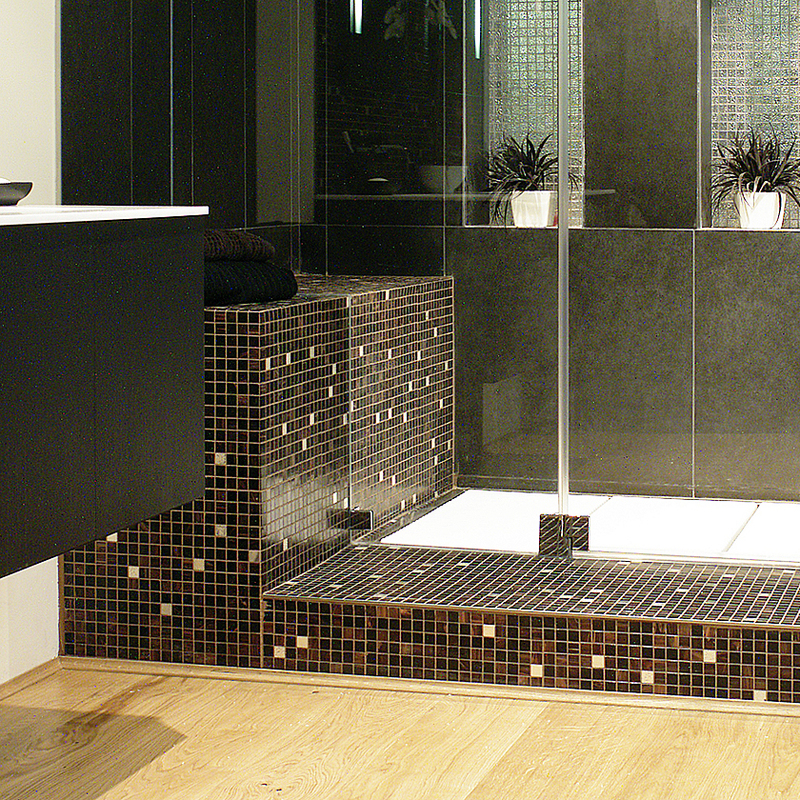 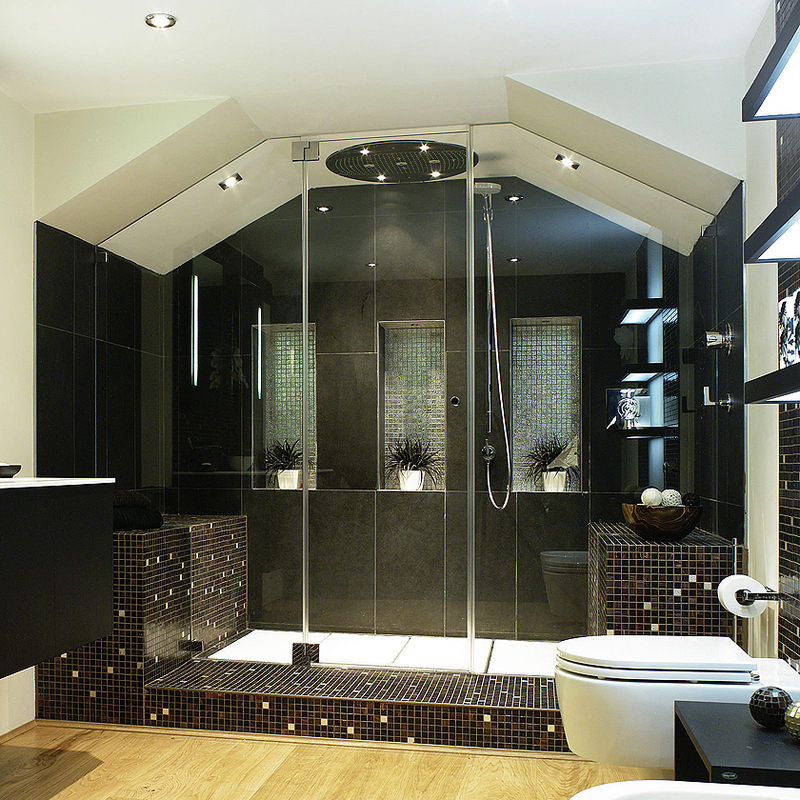 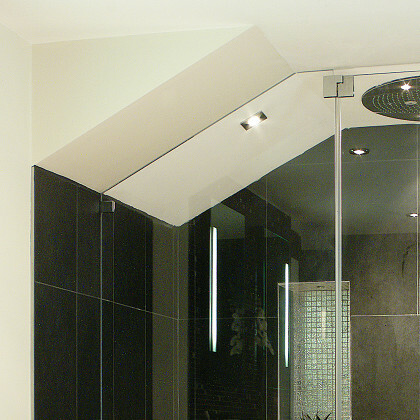 SSI True Frameless has the technical know-how to acheive the best finish with corner cut or roof pitch cut shower enclosures and can give advice depending on the wall finish being used. 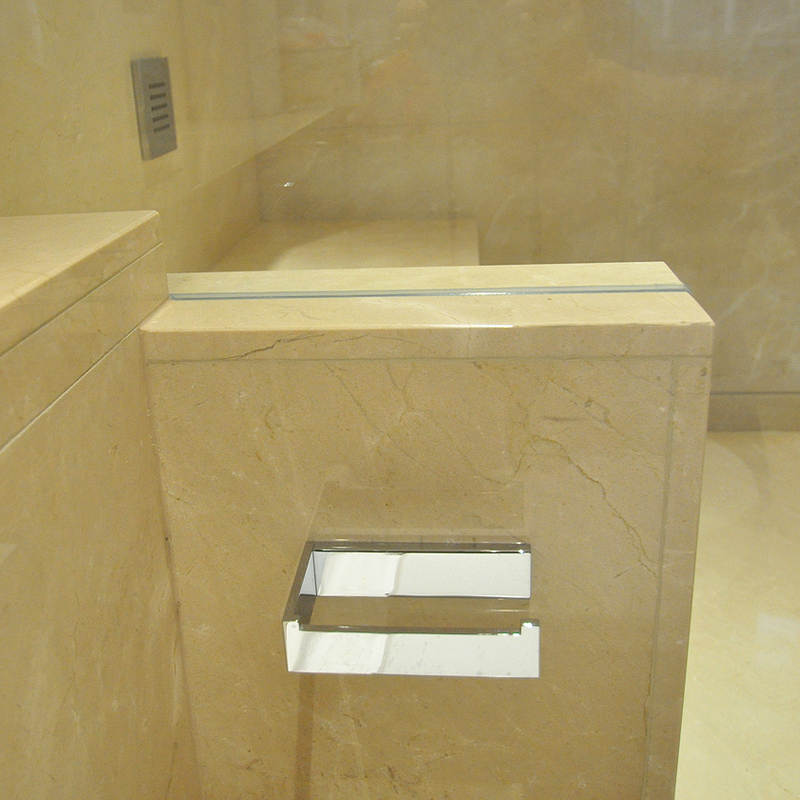 • Corner Cut: We can either tailor the frameless glass to suit the corner and mount directly on to the surface with invisible packers to create a perfect fit or if slab marble is being used we can install recess channels inline on the walls to conceal all fixings. 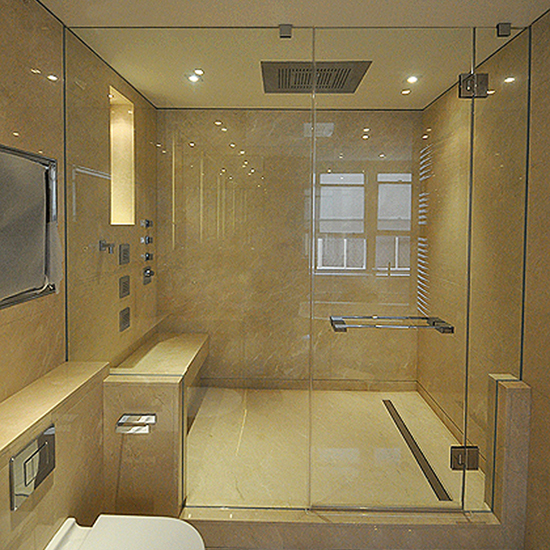 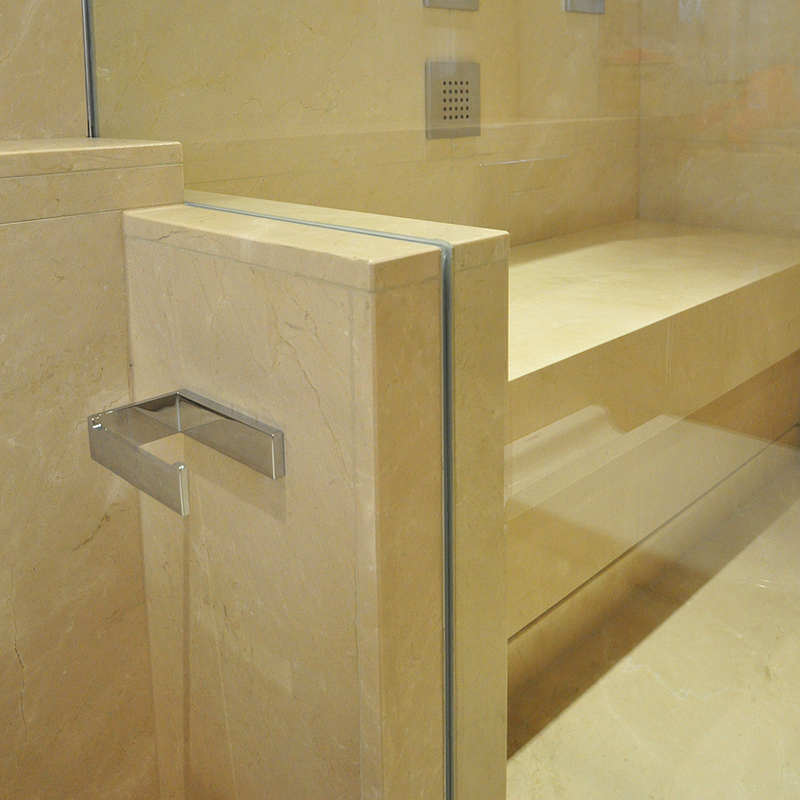 • Roof Pitch Cut: If the wall tiling runs through the enclosure line we can tailor the frameless glass to suit and mount directly on to the surface with invisible packers to create a perfect fit or if the tiling is only in the shower area we can perfectly install surface mounted channels inline on the walls to act as an end stop for the tiles. SSI True Frameless does an expert job of surveying corner cut and roof pitch cut frameless glass to overcome design challenges whilst gaining stunning results.